Egg tray making machine is a kind of mechanical equipment which is used to manufacture egg trays and apple trays. There are four steps about the production process of egg tray. They are raw materials pulping, molding, drying and packing. Among these steps, drying is one of the necessary steps. We can provide you with different egg tray dryer. 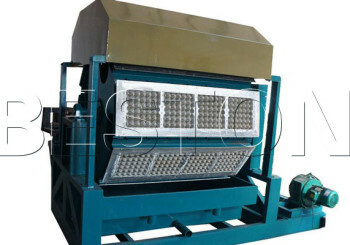 The egg tray dryer includes semi-automatic dryer, automatic dryer, metal dryer. The semi-automatic dryer needs people to put semi-finished egg trays manually. After the forming process, the wet egg paper tray need to be put in the trolley through the manpower. Then, the trolley will be pushed into the drying line by worker. That is to say, the whole drying process is proceeding under the help of the manpower. Therefore, this method may increase the labor density and the human cost.The semi-dryer is fit for small production. 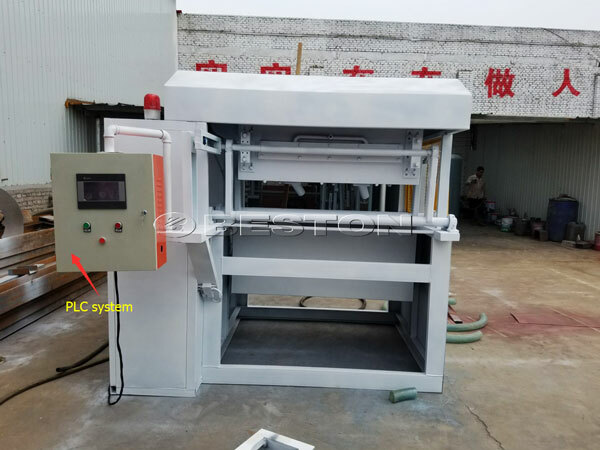 The automatic egg tray dryer machine can dry semi-finished egg trays directly without conveying by people. The automatic dryer has a drying lines which is made of bricks. It usually uses the coal, diesel as the fuel. The advantage of brick drying line is durable and easy maintenance. 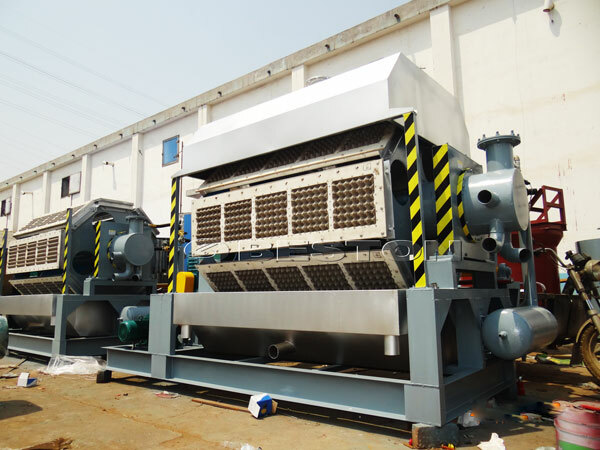 The metal egg tray drying machine is made of metal which can be assembled by our company. 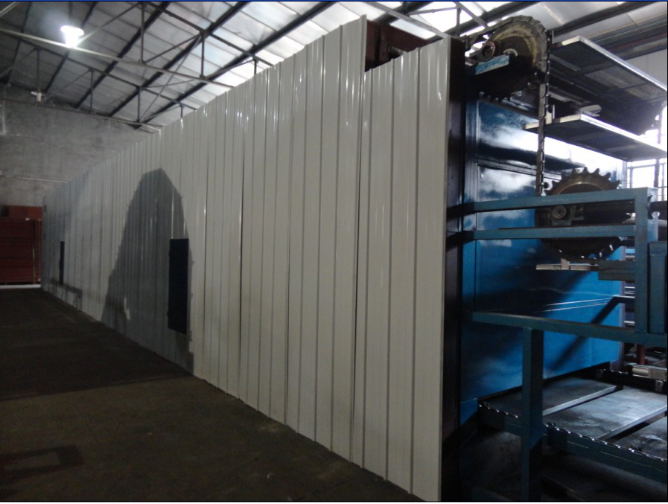 The metal drying line has small floor space and muti-layer dryer which uses the diesel and natural gas as its fuel. Based on the above introduction, you can choose the suitable one according to your requirements.